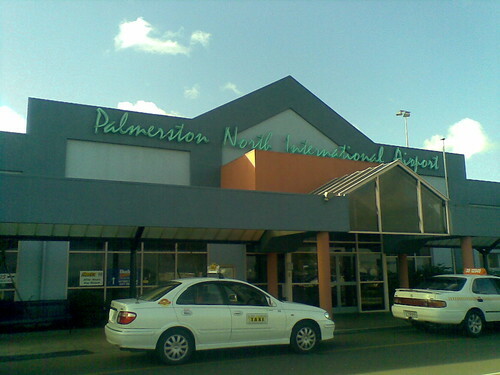 Palmerston North International Airport is the main airport in the Manawatu district of the North Island of New Zealand. It is located on the North-eastern boundary of the city of Palmerston North, approximately five kilometres from the City centre. Scheduled domestic Air Transport Operations are operated by Air New Zealand susidiarys (Mount Cook Airlines, Air Nelson, and Eagle Airways) on a daily basis. International flights have not operated from the airport since the 2008, however it has kept its "international" denomination. The airport also serves as a base for New Zealand Postal services, the main offices of engineering and maintenance provider 'Fieldair', two helicopter service providers: Helipro and Precision Helicopters Limited, the Bulls Flying Doctor Service and pilot training organisations: The Massey University School of Aviation and Wings Flight Training. The Airport has one passenger terminal which has limited facilities onsite. In mid 2011 works began on Stage One of a three part project to upgrade the terminal and its facilities. This includes a rearranged bagage collection area to improve passenger flow, upgrading the toilet blocks, new carpet and seating for the waiting areas and modern and artistic entance-ways around the building. - Rental car kiosks for Avis, Budget, Europcar, Hertz and Thrifty. - Air New Zeland operates a Koru lounge for members of it's Koru Club or those who wish to pay the entrance fee. The airport doesn't operate passenger services at night so there are no hotels or sleeping facilities on site. If visiting, you can travel the 5 km from the Airport into Palmerston North City where there are a range of accomodation options and eateries available. 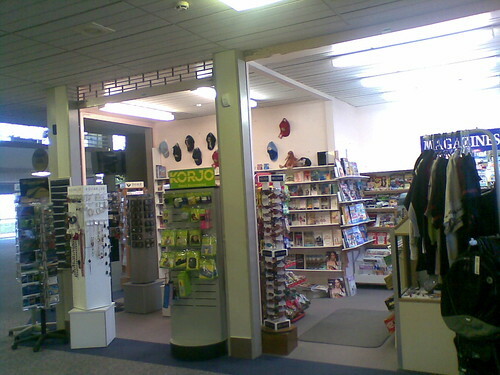 Palmerston North International Airport is a controlled aerodrome, which offers tower, surface movement control services (when required) and Terminal Infromation Service (ATIS). It is located within 'Class D' Airspace. The airport has two parallel runways. The main sealed runway which is designed for 737 or A320 sized aircraft and a secondary grass runway which is primarily used by training organisations and the general aviation sector. This is the official website for the airport, although it appears to be outdated. You can find some more information about the airport in this page in Wikipedia.